Here at Grow Cook Learn, we are a local charity passionate about connecting people to the food, history and landscape of the Shropshire Hills. We love to encourage exploration of our stunning landscape, educate visitors on the history of our area and use and promote local food. We run regular cookery courses to help vulnerable adults learn the skills to cook from scratch whilst on a budget and we aim to encourage everyone to get out in the landscape, promoting wellbeing through everything we do. 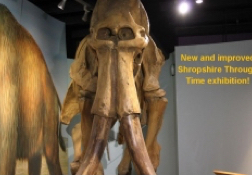 We took over the running of the Shropshire Hills Discovery Centre from Shropshire Council in 2014. Our landlords, Connexus (previously known as South Shropshire Housing Association), are a great support of our mission and assist us in developing the centre as a resource for the local community. 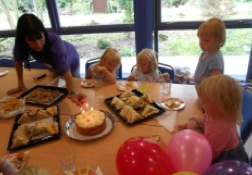 We are increasing our events programme year on year to fundraise alongside enhancing our offer for local residents. 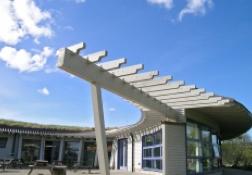 Our base at the Shropshire Hills Discovery Centre is the perfect place to start your exploration of the Shropshire Hills whether you are new, visiting the area or just want to learn more about where you grew up. 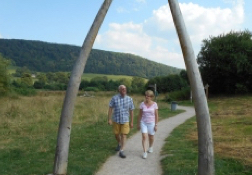 Our Shropshire Hills Through Time exhibition is perfect for all ages, giving you a taste of the stories from the hills, inspiring you to explore further. Our friendly and knowledgeable staff are always on hand to assist you further with your journey.